The question of health hazards in paint can stall even the most modest home makeover. I cannot count the number of times I have spent an hour or more at the hardware store weighing the merits of competing “green” paints. Fortunately, eco-friendly paints made without volatile organic compounds—VOCs—are increasingly available and affordable. To start, a few VOC basics. Lots of household staples contain VOCs, including cleaners, glues, caulks, strippers and sealants. Strong fumes are a common indicator. 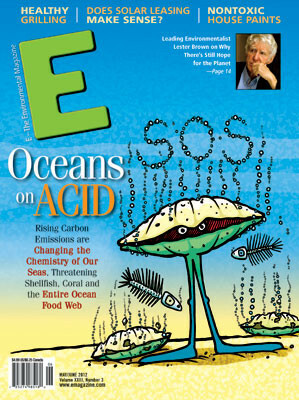 The “volatile” in VOC means that these chemicals easily change from liquids to gases. VOCs in paint remain liquid in a sealed can but swiftly vaporize as they go onto a wall and dry. This process, known as “off-gassing,” means that breathing air inside a recently painted home can be much unhealthier than outdoor air. According to the U.S. Environmental Protection Agency health effects from VOC exposure can range from headaches and irritated skin to, perhaps, cancer. It’s hard to pin down the exact effects because they vary from one compound to another and also from one person to another. Scientists have found that even very low levels of some VOCs seem to bother people with asthma and respiratory conditions. In fact, a recent study showed that increased levels of VOCs in house paint in bedroom air are associated with increased risk of asthma and respiratory symptoms in children. Following a few simple guidelines can help to minimize exposure to VOCs in paint and elsewhere. 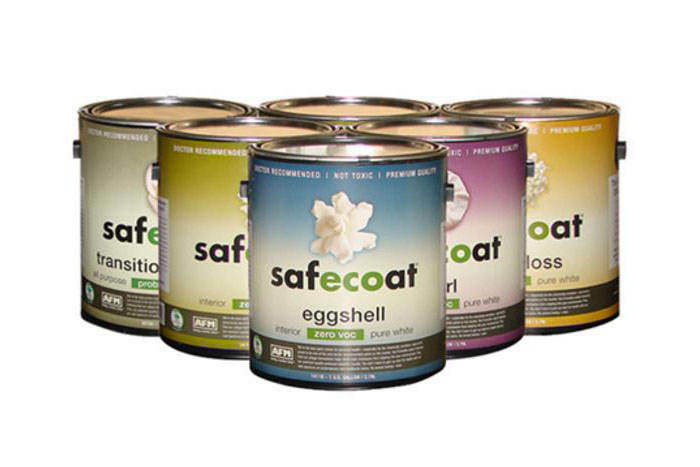 AFM Safecoat makes a full line of no-VOC paints, caulks and cleaners. The company website claims: “99.9% of those using Safecoat tolerate it without any adverse effects when properly applied and cured.” Jay Watts of AFM adds that with any paint or product: “We recommend that a person apply the product to a piece of glass…allow several days for good drying and then smell test or use any other method of personal analysis.” Watts says water-based primers are also a good nontoxic option, except in cases of smoke or fragrance contamination, when a shellac primer can be followed by a nontoxic paint topcoat. 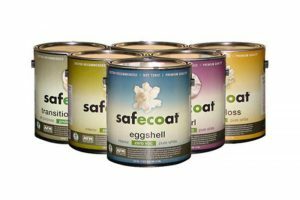 Both AFM Safecoat and another paint-maker, EcoProCote, sell plant-based paints and stains. EcoProCote makes its DuraSoy paint from plant scraps. “The use of sustainably and domestically sourced raw ingredients is the only sensible course to take when faced with the eventual depletion of petroleum supplies,” says Watts. Both companies sell their products through dealers. Yet another manufacturer, Unearthed Paints, will ship directly to a buyer’s home. Major brands like Valspar and Benjamin Moore have paints in this category, too. Avoid keeping old paint. Do-it-yourselfers tend to think about the health effects of paints only when they’re painting. But paints continue to off-gas in storage. “People should make sure to dispose of unused paint instead of storing it perpetually in their garages or anywhere inside their homes,” says Lunder. Many cities will dispose of old paints via periodic household hazardous waste collections. If you must keep old paint, seal the cans tightly and store them somewhere outside the home, such as a well-ventilated shed. Be aware of other VOC sources. It makes little sense to use no-VOC paints in a home full of other VOC-laden products. A 2008 study by the Center for Health, Environ-ment & Justice found that in tests a single vinyl shower curtain released up to 108 different VOCs! Lunder recommends taking easy steps to reduce VOCs from multiple sources. Remove the plastic from dry-cleaning and air it out. Always fully dilute household cleaners as instructed, and buy green-certified cleaners. And if your house has an attached garage, make sure it is well sealed off from the living area. These actions, plus a properly applied, eco-friendly paint, will help to keep air sweet in your home sweet home.